Chamomile essential oil is just one of the few essential oils used in cosmetics for its healing properties. Products with chamomile essential oil may diminish the scars, marks, spots on your face and skin, to even bruises, cuts, and wounds. The moisturizing properties of chamomile essential oil help diminish minor skin irritation. If you’re also looking to tone your skin, apply a few drops of it all over your body. Got muscle, joint, or body pain? This essential oil is your answer. Chamomile essential oil has analgesic properties that may relieve pain. You may also use this to help soothe shooting pain anywhere in your body due to neuralgia, or blood vessel irritation. It may also help reduce pain from a headache, sinus infection, or a toothache. If you can’t expel excess gas, chamomile essential oil may help do the trick. Applying a few drops of this essential oil directly on your stomach may help relax the muscles and lower blood pressure. It may also curb or minimize gas formation, too. 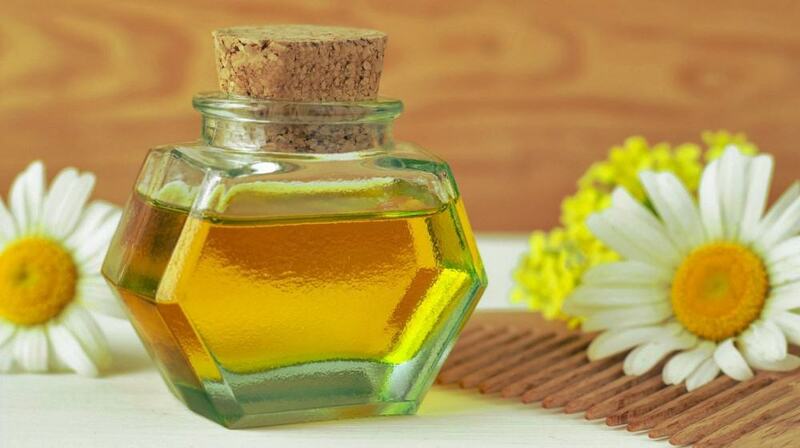 Do get the Roman chamomile oil for your baby or child as it is more calming and not as strong as the German variety. Massaging chamomile essential oil on your belly or putting a few drops of it in your herbal tea may do wonders for your stomach. The properties of this natural product promote normal secretion of bile, enzymes, and hydrochloric acid, which is needed for proper digestion. It’s also good for the liver too, as it may help facilitate adequate bile control. A study at the University of Pennsylvania School of Medicine revealed the essential oil derived from the flowery plant “might provide a clinically meaningful antidepressant activity that occurs in addition to its previously observed anxiolytic activity.” Another study also concluded chamomile essential oil as the best alternative when it comes to reducing a person’s anxiety. Using it topically or introducing it to your food or drink is safe, you may want to avoid using this if you have an allergy to ragweed. Wonder why some color shampoos include chamomile or its raw source version as one of its ingredients? It is just because once the flowery plant is reduced to its powdered or oil form, it may be used as a semi-permanent dye to brighten your dull, colored hair. Moreover, studies also showed chamomile as an active agent to reduce ultraviolet-based darkening. Merely apply chamomile essential oil directly on your hair and scalp. German chamomile essential oil and the Roman chamomile variant are considered the best when it comes to treating rheumatism and arthritis. Massaging the inflamed joint or muscle with chamomile essential oil will help promote proper blood circulation and prevent the uric acid accumulation. This is because the chamomile plant is considered an antiphlogistic, a term called for a treatment that may reduce swelling and edema. A whiff of this essential oil may help overcome any negative feelings or bad mood. Whichever chamomile essential oil you choose, all are effective when it comes to fighting depression. The scent may induce happiness or charged emotions in a person and would be an excellent supplement for people who suffer depression. You may also use this as a massage oil to melt away if you’re feeling down with something at work or in your personal life. Just as chamomile may do wonders for healthy skin, what more if you apply it to your infected skin? Chamomile essential oil has excellent antibiotic and antiseptic properties, inhibiting bacteria and fungi growth. It may also eliminate infection already present in your skin, and lice, mites, and other parasites on your hair and scalp. 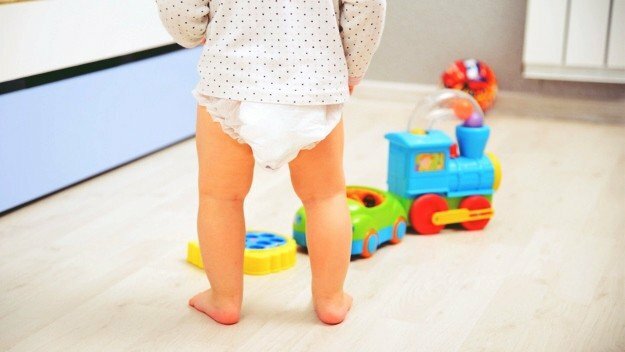 Chamomile essential oil is also useful for babies who continuously suffer from diaper rash. Chamomile is an excellent medicinal supplement for people who have fevers, colds, or those who are in need of detoxification. The properties in chamomile may induce a person to sweat out the toxins and agents that cause the infection. Moreover, the flowery plant helps cool the body down and provide relief from fever as well. The compounds present in the chamomile plant stimulate frequent urination. This is because the same compounds will increase your body’s water absorption, clearing up all toxins from your body to your urinary tract system. Unlike other diuretics on the market today, the compounds in chamomile are mild. Countries like Turkey are using chamomile to treat people with bladder problems. Chamomile essential oil no doubt can be a great addition to your medicinal cabinet. Because it is a natural product, it is also safe to make it yourself or introduce it to your essential oils mixture. 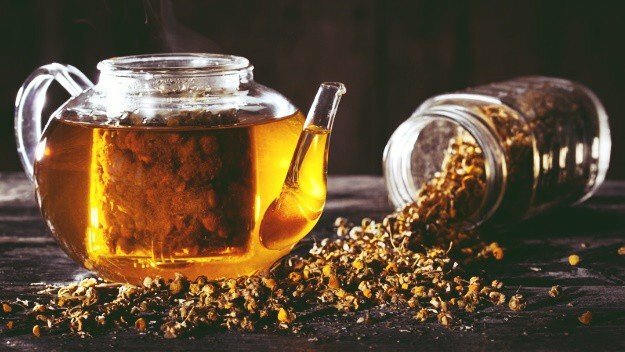 Make sure though to consult with an aromatherapist and a medical professional, especially if you plan to introduce chamomile in your food and drink. Do also use the highest quality variant and only do it at least for up to two weeks at a time to avoid complications. Got questions about using chamomile essential oil? Do share them in the comments section below! Up next: Natural Remedies For Morning Sickness: Can Essential Oils Help Treat It?